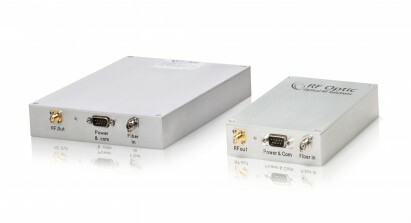 Our RF over Fiber converters (RFoF) are suitable for any application where cables are not sufficient, especially when high performance is required. 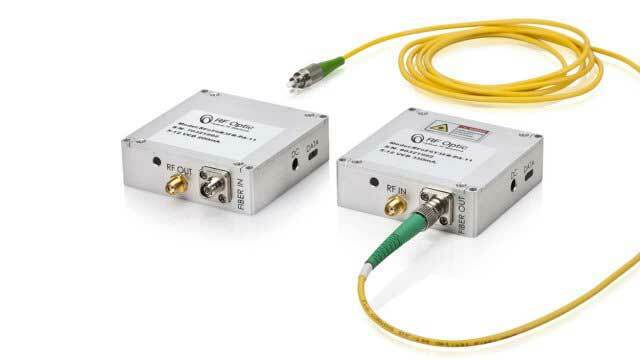 RFOptic offers two groups of RFoF modules: low frequency (0.5MHz – 6GHz) and high frequency 8GHz and up to and including 40 GHz) programmable RFoF solutions. The low frequency programmable RFoF modules (also with SNMP) are based on direct modulation and include 2.5GHz (with optional GPS), 3GHz, 4GHz, 6GHz. 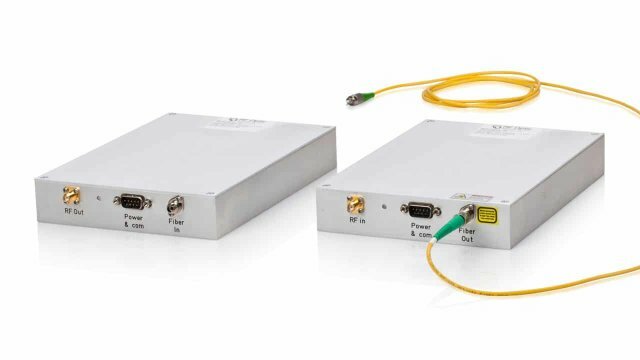 Other options include: Bidirectional (2-way) over Fiber receiver (2.5GHz – 6.0GHz), RFoF multi-link series (0.5 MHz – 6.0 GHz), CWDM 8 channel multiplexer (mux) / demultiplexer (demux) devices, and Bidirectional RFoF Picosecond. Applications include remote antenna, GSM and cellular communications, broadcast, and satellite. The high frequency RFoF modules are based on indirect modulation and include 8 GHz, 15 GHz, 18 GHz, 20 GHz and 40 GHz. Frequency range of 10MHz up to and including 40GHz with good flatness and good phase noise. The NF gain can be improved by adding an amplifier. Parameters such as Gain, P1dB and Noise Figure can be modified upon request. Applications include remote antenna, EW, radar, and military communications.